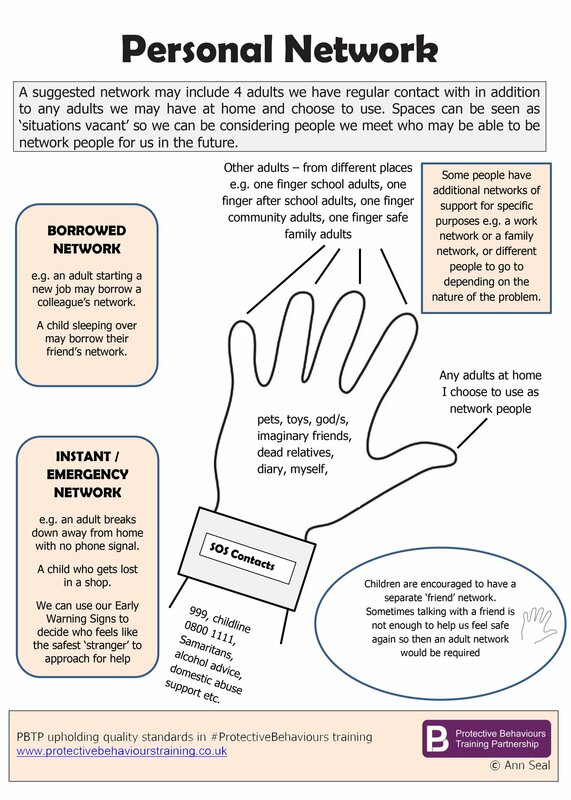 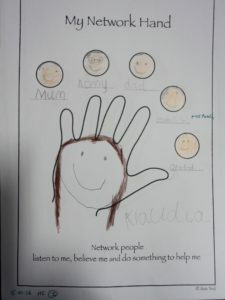 My network hand is an activity that will help children to identify a support system that they can use if they need help. 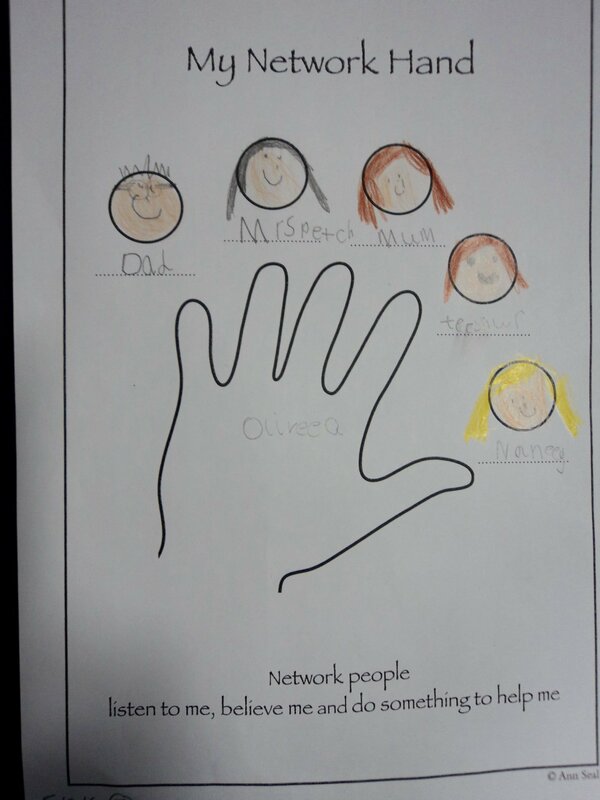 It requires them to identify ‘network people’ such as parents or guardians, family members, teachers, and so on. 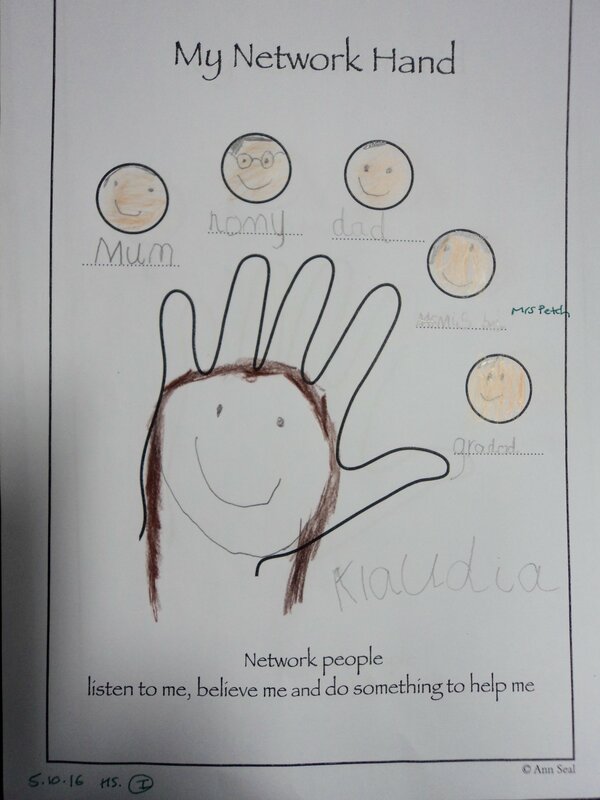 The network people should be adults they trust and who listen to them. 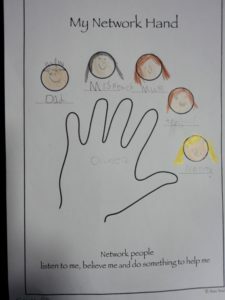 There are a number of ways to do this activity, the best is for the child to draw around their own hand, but you can use the template attached. 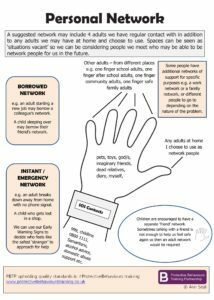 The trsuted adults should not all be family members but a variety the ensures coverage across different places and times, so that a child is able to identify someone to go to talk to.